~~> Falling in love with a cute French boy while on vacation is every girl’s dream… and now it has come true! ~~> Help Megan get some quality time with her gorgeous French crush, Pierre, and enjoy a romantic Parisian adventure. ~~> Make sure their first date in the most romantic city in the world is a once-in-a-lifetime experience to be remembered forever! Megan is not looking forward to another boring family vacation. But things turn interesting for her when she catches a glimpse of Pierre, the cutest boy she’s ever seen, with the hottest accent. Only problem is, her family wants her all to themselves! 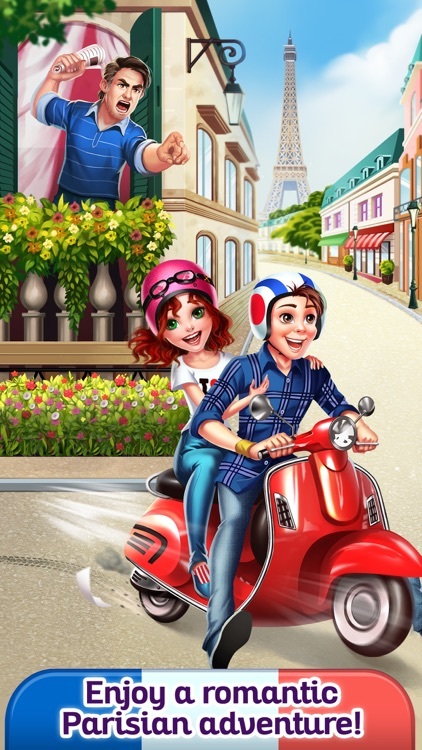 It’s up to you to help her sneak out and enjoy Paris, the city of LOVE, with her crush. > Flights are long when you’re with an annoying little brother. Help Megan pass the time by making virgin juice cocktails and setting her family up with cute sleep masks. > Decorate your travel diary with fun stickers and cool patterns! > While touring Paris’s famous museum, Megan meets Pierre, a dashing French boy who takes her breath away. Could it be love at first sight?! > Pierre is going to ask Megan out! Help him design a fancy date invitation and beautiful flower bouquet. 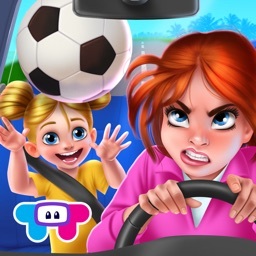 > Help Megan overcome many obstacles that threaten to keep her from the cutest boy in Paris, including protective parents and a mischievous brother, Jake. > Enjoy an entertaining mime show. 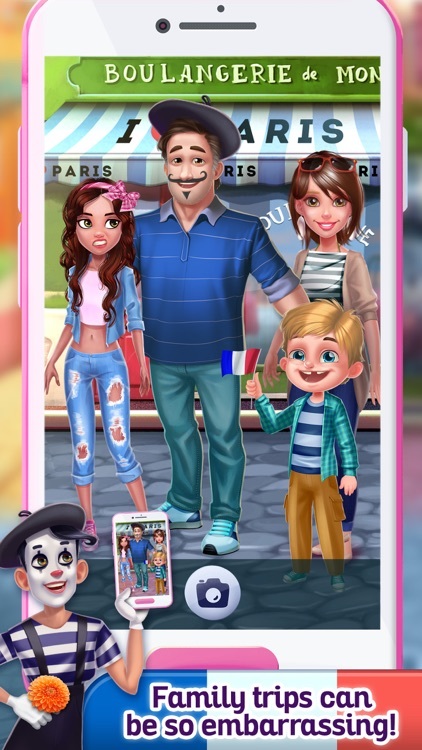 Dress Megan and Jake up as mimes and take fun family selfies. > Dress Megan up in pretty clothes for her big date. > Date time! 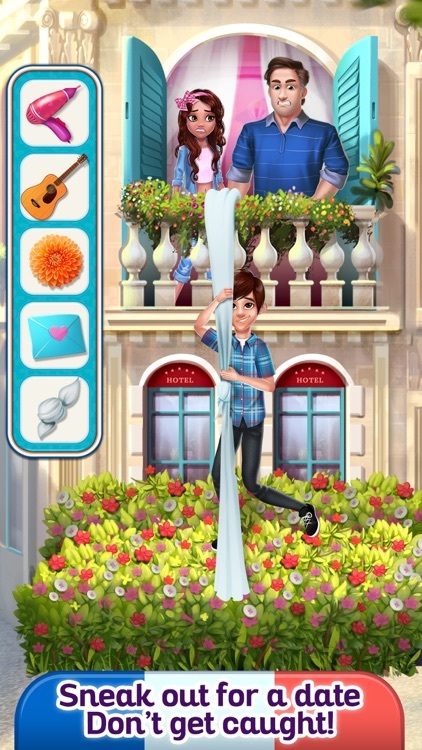 Help Megan sneak out of the window for her romantic evening. Pierre will even serenade her with a romantic song on his guitar! > Learn how to make delicious French food like croissants and macarons. 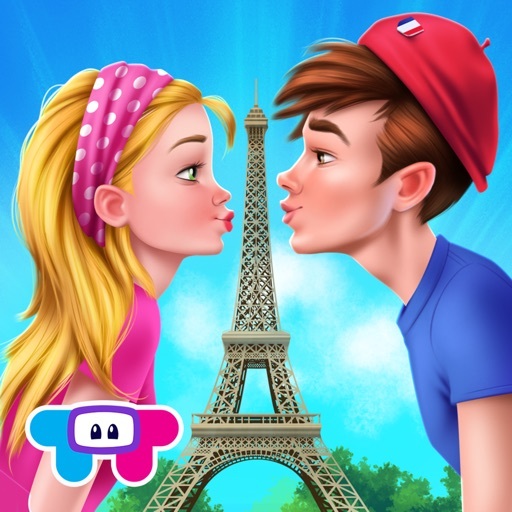 > Uh-oh - while Megan and Pierre are enjoying a romantic picnic, they look through a telescope and spot Jake, hanging off of the Eiffel Tower! > Help Pierre rescue Jake and save the day. Now Megan’s parents will surely approve of Pierre… right?! > Time to fly home! 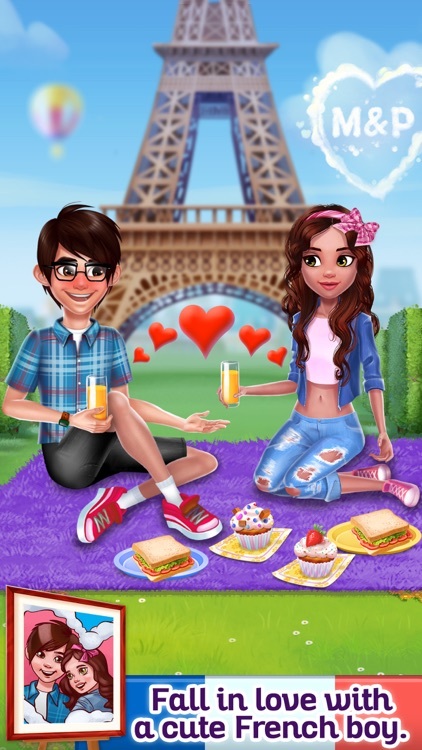 Megan and Pierre will miss each other… but they’ll always have Paris! 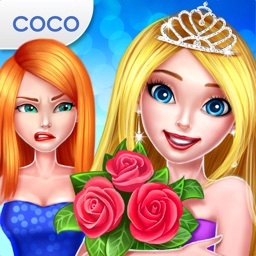 > Enjoy fun coloring pages and minigames like slicing games, spin the wheel, and more!